The Restorative Spectrum is a depth survey of the restorative-oriented yoga traditions. 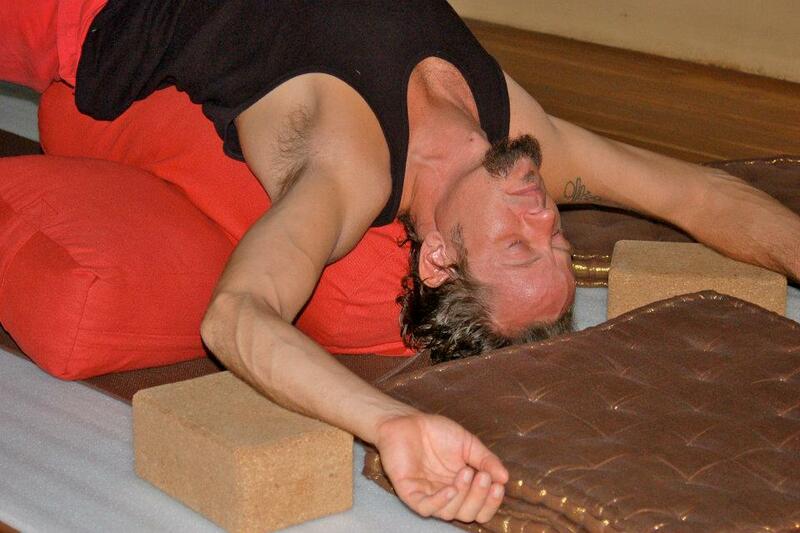 Essential Nature Restorative Yoga will be our primary focus. The remaining time will be spent equally exploring Yin Yoga, Meditation, and Yoga Nidra. The philosophies, theories, science, benefits (and contraindications) of each of these methods will be examined, practiced, and embodied in order to encourage critical thinking, further investigation and personal growth. You will become adept in Power Restore® methodology, learning to weave restorative modalities throughout an active class in order to increase heart rate variability, vagal tone and optimize homeostasis within the body- as well as introduce the restorative practices to a wider audience. Think holistic interval training. • Essential Nature Restorative Yoga Sequences. • How to create Restorative Flows that resonate with seasonal influences. • How to create Restorative Flows that support internal organs and elements. • The ability to effectively teach restorative yoga within a group setting and how to ‘hold space’. • How to center your class and yourself with a dharma talk. • Active and passive restorative poses. • The energetic map of the koshas and how they relate to restorative yoga. • The distinction between Restorative Yoga and Yin Yoga and how to effectively convey these differences to students; knowing what to choose, when, and why. • The ability to confidently teach Yin yoga within a group setting. • How to incorporate chanting within the restorative spectrum. • Yoga Nidra-the practice of yogic sleep. • Meditation. The science and practical application and to how to incorporate it into a class. • Introduction to Steven Porges’ Polyvagal theory. • The Vagus Nerve, what it is, and how it influences our capacity to self-regulate. Upon completion of the Restorative Spectrum Yoga Teacher Training, you will have comprehensively studied and embodied the different modalities of the restorative practices. You will be able to effectively differentiate, articulate and teach within each of these modalities. You will also be able to skillfully incorporate Essential Nature Restorative Yoga, Yin Yoga, Yoga Nidra, and meditation into a class in an engaging and informative manner. You will understand the theory and practice of Power Restore® and how to effectively integrate restorative practices into an active, vinyasa class structure. Jane Fryer is the creator of Essential Nature Restorative Yoga and The Restorative Spectrum. Jane has lived and breathed Yoga for the better part of her almost 70 years, and has immersed herself in Kripalu, Sivananda, Iyengar, Anusara, Yin, Restorative, and Yoga Nidra. Jane’s most recent teachings reflect a synthesis of these traditions with an emphasis on how Restorative Yoga relates to contemplative spiritual practices. Learn more about Jane at www.janefryer.com. Nicole Koch entered the Santa Monica Power Yoga scene of Bryan Kest in the late 90’s. For years she enjoyed her strong, yang driven practice, eventually receiving her RYT from an Ashtanga based school. Through age and injury, she relished the benefits of slowing down, but it was her diagnosis with Lyme Disease that led her headlong into the Restorative practices-and her mentor, Jane Fryer. She is certified in Restorative Yoga, Yin Yoga, and Yoga Nidra. Nicole is the founding director Power Restore Yoga®. Learn more about Nicole at www.powerrestoreyoga.com.